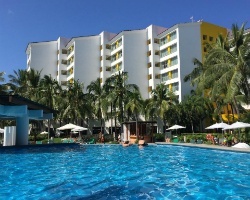 Buy or rent a timeshare in the Mayan Palace Beach and Golf Resorts network and enjoy a wide variety of ownership benefits and travel opportunities throughout Mexico. Shop the inventory at SellMyTimeshareNow.com and save as much as 70% off the retail price. What’s My Mayan Palace Beach & Golf Resorts Timeshare Worth? With the Mayan Palace Vacation Club, you get to enjoy six different luxurious resorts as well as all of the resort destinations under the Vida Vacations brand. Find properties in Mexico hot spots such as Acapulco, Mazatlán, and Puerto Vallarta. While amenities and attractions vary by resort and destination, Mayan Palace Resorts are known for their upscale features and services that will make you feel like royalty. On-site golf courses, full service spas, swimming pools, beach access, fitness centers, and multiple dining options are all available regardless of where you stay. The country of Mexico provides plenty of culture to experience paired with beautiful beaches, upscale shopping centers, vibrant nightlife, and so much more. Accommodations vary by resort, but Mayan Palace Resorts offer comfortable, spacious units with private bedrooms, balconies, and kitchen appliances. Other common features include plunge pools, jacuzzi tubs, ocean views, large bathrooms, sitting areas, and comfortable bedding. 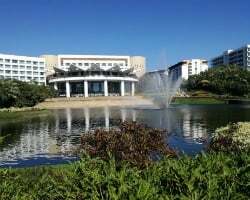 Regardless if you just need space for you and your spouse, or enough room to accommodate the entire family, these resorts offer plenty of options to ensure your vacation is as comfortable and convenient as possible. See how much fun it can be to own or rent a Mayan Palace Vacation Club timeshare today! Get started now by completing the form on the right side of the page or call 1-877-815-4227 to speak directly with one of our independent timeshare specialists. You can purchase a Mayan Palace Resorts timeshare for less than you think when you shop on the secondary market. When purchasing from the resort developer, you'll find the prices are significantly higher than when you buy resale. This is because resorts charge for the worth of the timeshare plus hefty sales commissions and a whole slew of additional hidden fees that result in an incredibly high price for vacation ownership. You won't pay those fees and sales commissions on the resale market. 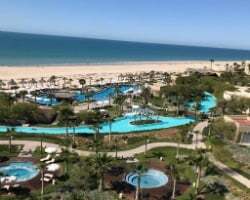 You will find a great selection of timeshares advertised by-owner for a price that reflects their current market value and nothing more, saving you thousands of dollars. Our Mayan Palace Resorts resale inventory features Right To Use floating weeks with annual usage, many within the popular Red season. With a Right To Use property, you are buying a specific number of years of ownership. This can be appealing for those who are interested in timeshare ownership without being tied down for life. Vida Vacations gives you an allotted number of weeks to use over a certain time period for years of vacation fun. 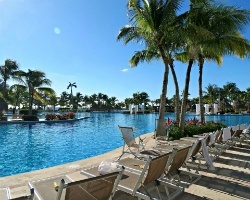 Mayan Palace Resorts are all under the Vida Vacations umbrella brand. Other resort brands under Vida Vacations include The Bliss, The Grand Mayan, Grand Bliss, and Grand Luxxe resorts. Under Vida Vacations, owners are able to internally change whether you bought retail or a resale timeshare property. Vida Vacations offers a great selection of premier resort vacations in all the top destinations across the country of Mexico, allowing owners to experience new and exciting locations with rich amenities each time they travel. Vida Vacations not only lets owners utilize their allotted weeks when and where they want, but there are also resorts that offer all-inclusive packages for a stress-free getaway. In addition to the exchange options you have within both Vida Vacations and the Mayan Palace Vacation Club, you also have the opportunity to purchase a membership to RCI. Known as the world's leader in external exchange, RCI is affiliated with thousands of top-rated vacation ownership properties all across the world. RCI prides itself in only affiliating with the most high-quality resorts that offer incomparable services, amenities, and accommodations. With RCI, you always know you will enjoy an incredible vacation experience. Simply purchase an affordable annual membership, deposit your week with Mayan Palace Beach & Golf Resorts, and take advantage of the company's comprehensive exchange services to vacation wherever you would like. Mayan Palace Vacation Club features six different resort properties located in top destinations throughout the country of Mexico. 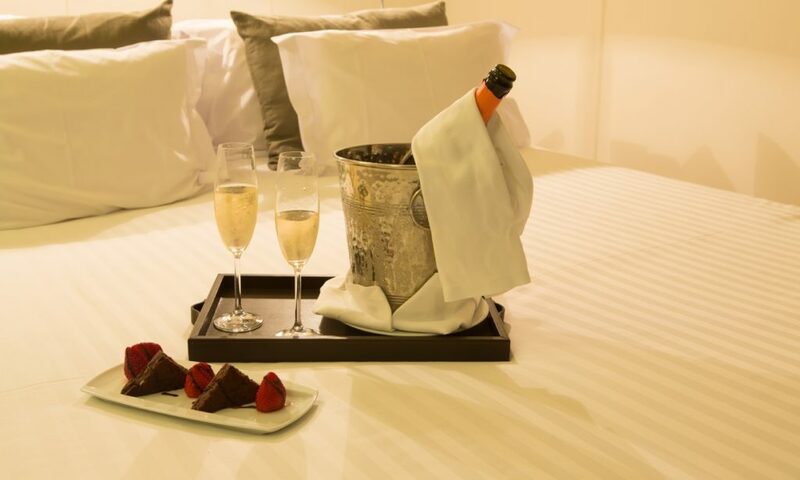 Each offers spectacular amenities, services, and accommodations to make each getaway special. Already Own at Mayan Palace Beach & Golf Resorts?